Every year the Boy Scouts of America presents around 100 Lifesaving or Meritorious Action Awards. These awards didn’t exist in 1955 though, which is when Eagle Scout Sam Friedman saved a man from drowning in San Juan, Puerto Rico. Friedman earned the Eagle Scout Rank early in 1955 at age 14. Friedman says he earned the rank at a young age. “We didn’t have a lot of activities in San Juan…so Scouting was my whole life…it was everything to me,” he explains. Less than a year later, in August of 1955, Sam was on a boat dock working on his small sailboat. “I heard a shout, ‘Cojelo!’ coming from a man working on a boat at the dock,” he writes in his letter to the National Council reporting the incident. Friedman later learned that the man in question had been electrocuted while using a power sander on the boat and falling into the water. In the moment, Friedman says he “became scared and realized that I should offer my help,” so he helped a couple of other men pull the victim onto the dock. Scared at the sight of the man’s motionless body, Sam almost walked away. However, when no one else on the scene started Artificial Respiration (now known as CPR) he volunteered. Sam and another bystander began to resuscitate the victim and cared for him until doctors arrived and drove him away in an ambulance. Sam wrote a letter about the incident and mailed it to the National Council and received a response for the Chief Scout Executive, Joseph M. Thomas! “There is unanimous praise for what you did…You did what a well trained Scout would do and I am happy to commend you for it,” he said. 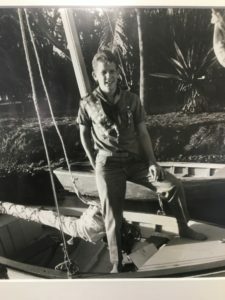 Sam Friedman went on to start a Sea Scout Ship in Puerto Rico before eventually moving to Georgia in 1955. Today he has a grandson in Troop 304 at The Lovett School. Sam Friedman, today, in his office at AFCO Realty in Cobb County. He still holds Scouting in high regard, saying “There’s no part of Scouting I didn’t love, and if I could I’d do it all again.” He works on requirements with his grandson and still reads over Merit Badge pamphlets when he is looking to start a new hobby. When Sam earned the Eagle Scout Rank he received a letter from the National Council saying “All of us who are leaders in Scouting should do all we can to give a better Scouting program to more boys.” Sam Friedman has certainly lived up to that charge. Sam Friedman is an Eagle Scout and local business leader. 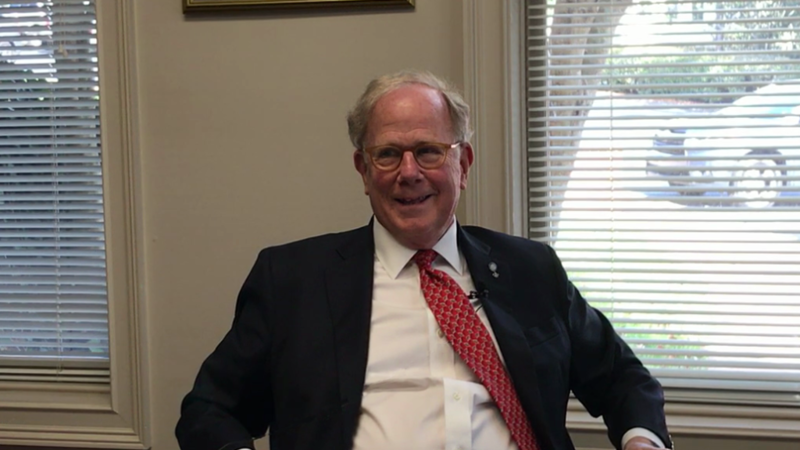 He volunteers with his grandson’s Troop, and is a continuous supporter and advocate for the Atlanta Area Council and the Boy Scouts of America.